Tim Cook tweeted this morning to honor what would be the 60th birthday of late Apple co-founder Steve Jobs, who passed away in October 2011 following a lengthy battle with a rare form of pancreatic cancer. Cook shared a quote from Jobs' heartfelt commencement address at Stanford University in 2005, in which he said "the only way to do great work is to love what you do." Jobs co-founded Apple alongside Steve Wozniak and Ronald Wayne in 1976, with the roots of the company based in the garage of his childhood home in Los Altos, California. After turning the Macintosh into a commercial success in the decade following, Jobs was essentially ousted from Apple in 1985 following a power struggle and went on to found NeXT Computer the same year. Apple went on to acquire NeXT in 1997, bringing Jobs back as CEO, at which point he led the company to become one of the most valuable in the world on the strength of products such as the iPod, iPhone and iPad. Apple has continued to be successful under the leadership of CEO Tim Cook, reporting the most profitable quarter in the history of any company to close out 2014. The Apple Watch, set to launch in April, will mark the first major new product since the passing of Jobs. Today also marks the 15th anniversary of MacRumors, launched in February 2000 by Arnold Kim. MacRumors was a relatively early entrant in the Apple online community, arriving before the introduction of the iPod, iPhone, iPad, OS X and several other products and services used by millions of users today. As always, we express our gratitude to the several readers, contributors, sponsors and all those that allow us to continue sharing the latest Apple news and rumors. I thought this was MacRumors not BirthdayAnnouncements! Nothing says "cult" like continuing to worship Jobs. Seriously, you can't see how the birthday of the co-founder of Apple, and the anniversary of MacRumors might be of interest to MacRumors readers? I still remember the day he died like it was yesterday, it hit me like a ton of bricks. Love him or hate him, he changed the world for the better. Not a SINGLE message here has anything to do with 'worshipping' Jobs. It's all RECOGNIZING his birth 60 years ago, and RECOGNIZING his achievements, which were amazing. It's traditionally done for people who achieved as much as he did. Your comment is very odd. Crap, I'm behind on my whole changing the world thing. Thanks for posting this. Since I can't down vote anymore at least I can up vote posts criticizing stupid posts. 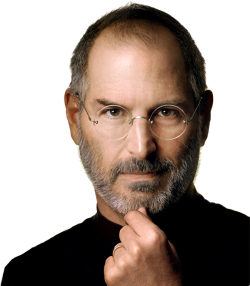 Steve Jobs would never be wished a happy birthday now that Apple is doomed due to snappier Safari and the fact that only first world problems are addressed on such a slow news day; this thread must therefore be a bug, which is expected because it's a beta. This quote is from the New Yorker interview with Jony Ive, talking about Apple's new campus. The minute I sat down in front of a Mac my life changed forever. I made real money for the first time and got to see the world and truly went beyond anything I could have imagined. Thanks Steve!